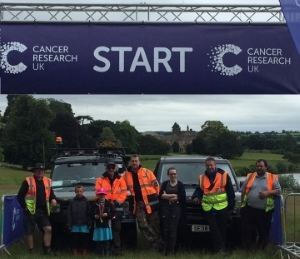 If you are interested in joining Yorkshire 4x4 Response then the first thing you need to do is join up here to the website (if you haven't already done so) to find out a little more about what we do, and ask any questions you have. Your status on the forum will be 'Website User', which means that you are a guest of our group. Becoming a full up member elevates you to the status of 'Responder' which allows you to take part in group activities, go on call-outs and have access to training. You will find more information about membership below; what is expected of you as a Responder, membership fees, etc. If you decide that you would like to go ahead and join the group, please check that all information regarding vehicle, contact details etc via the website registration is correct. Because the area we cover is so large, we have a network of Liaison Officers to act as closer points of contact for our Responders. In the weeks after you join your Member Liaison Officer (MLO) will get in touch to introduce themselves, and invite you to a local meeting to go through in more detail what we do, as well as start the initial document checks required to join the group. Full access to the website - this reveals information on Responder activities, training and exercises, group meetings, and responder-only deals with suppliers. Access to training days - we try to hold a number of training days throughout the year at a number of locations in Yorkshire (there is sometimes a nominal fee to cover the use of facilities). Assist with call-outs - you will be able to be called out to assist with incidents (naturally those closest to an incident are called out first, and preference will be given to those who have completed the core training). Social events - various social events are held through the year, including camping and green laning trips, there are also opportunities to assist the shows team at shows (with discounted of free entry to shows). Because we are working with category 1/2 services, principally the the emergency services and local authorities, often in difficult conditions we have to be organised and structured. This means that we need to ensure that our members are properly insured, with well maintained vehicles and have an understanding of off-roading and recovery techniques. YR4x4R Online Code of Conduct, common sense practices for responders when online. You should ensure you read and digest these documents, as upon joining the group, you are automatically agreeing to abide by them. Insurance - whilst the group has insurance which will cover you for activities as a responder, it does not cover your vehicle. You will need to notify your insurers to have them add 4x4 Response (voluntary) work to your policy. Not all insurers are willing to cover for this sort of work, but those that do don't seem to charge extra for it. Adrian Flux, NFU, Sureterm and Asda are known to cover response work, but there may be others who do. There is further information available in the forum on insurance. Communications - we need you to have some form of mobile communication for Response work so that we can direct you and give locations when you are on a call-out. A mobile telephone is pretty much essential. Other forms that we use are CB radio, PMR and Amateur Radio, however they are not a requirement for responders. Equipment - we do not expect people to go out and buy loads of equipment to do response work, but we have a basic list of things that we feel are necessary and that most people have anyway. Your MLO will give you more details on equipment at your induction. The Annual membership fee is £16 and runs from September. If you join during the year the initial £16 is payable, with an adjustment in the following year based on a quarterly pro-rata amount. 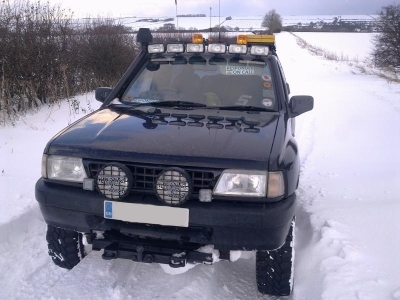 There is also a returnable £10 deposit required in respect of the group owned items that we provide to you, ie ID card, Official 4x4 Responder sticker and Yorkshire 4x4 Response Hi-vis vest. (These items are handed over and signed for in person by your MLO, normally at a local meeting, or by special arrangement). You can join up at one of the shows we attend, at an open meeting or alternatively you can join now by filling in the forms linked below. Once a MLO has been in contact and the appropriate document checks have been completed, The MLO will inform the membership secretary, who will send you a email with a link to an online payment site, as well details of PayPal donation details if you prefer to pay by this method. Included in the e-mail will be any additional actions that might also be required. We accept payment online, and details will be sent to you by the membership secretary once all appropriate document checks have been completed. There are two online methods that we accept, the first been via a secure payment website using PayPal, although this service has a additional 76p due to fees charged against the group, or we accept PayPal donation which doesn't have a charge on yourself or us, both details will be sent to your by the membership secretary via email.